Halsey got a tattoo to commemorate her friend's debut album. 16. Halsey got a tattoo to commemorate her friend's debut album. 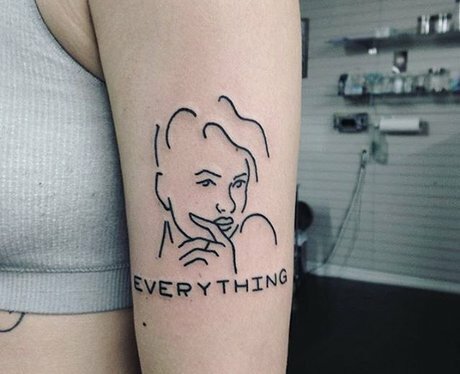 Halsey got her "Everything" tattoo to commemorate Lido's debut album "Everything". The pair are close and very supportive of each other's work.